The Sole Administrator of the Rivers State Waste Management Agency (RIWAMA), Bro. Felix Obuah, has warned that the Agency would no longer condone the dumping of refuse at places other than the RIWAMA-approved containers . Obuah in a statement, noted that residents and those doing business in Port Harcourt and its environs have no excuse to dump refuse indiscriminately as receptacles have been strategically positioned close to business and residential places. He regretted that these unwholesome acts of indiscriminate dumping are usually carried out after the approved dumping hours when wastes have been cleared by Service Providers. Warning that the agency would not hesitate to arrest and prosecute those who continue to dump waste at unapproved receptacles and unauthorized hours, Bro. Obuah however, urged residents and those doing business in Port Harcourt and its environs to turn a new leaf and not allow themselves to be turned to scapegoats . 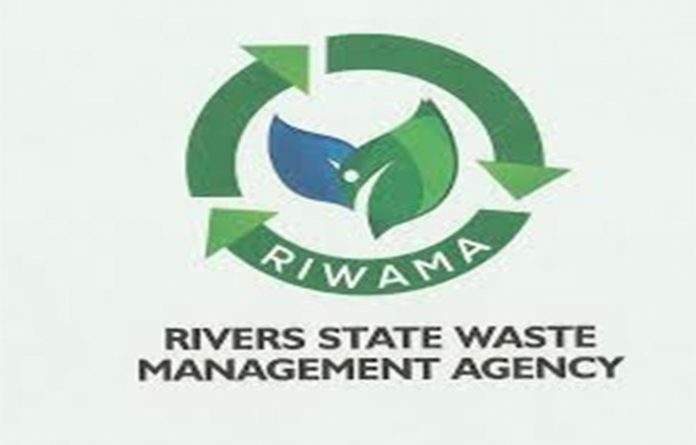 The RIWAMA’s boss also cautioned builders and construction companies in Port Harcourt, the State capital and its environs against dumping of solid waste at receptacles. He stressed that compactors do not carry solid wastes as they are designed to evacuate only non-solid waste materials, noting that dumping solid waste end up defacing the receptacles. He further cautioned event managers and all those doing business in the state, particularly evening market traders and roadside bar operators to stop dumping wastes at unauthorized places and to adhere strictly to the officially RIWAMA approved hours of 6 p.m. to 12 midnight.